Villas right next to beaches are rare. Tawantok Beach Villa 1 is just such a rarity, sitting next to one of the world’s most glorious beaches. With room to sleep up to 12 family and friends in blissful comfort, the villa has a large infinity-edge pool, an inviting dining-and-living room, a jaw-droppingly beautiful master suite and four more guest rooms. The villa also has a super-attentive staff, who seem to know what you want before even you do. 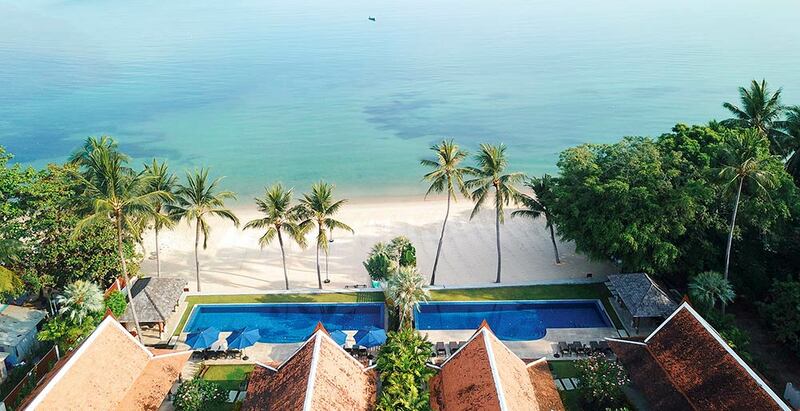 And all of this is just a step from the super-soft sand of Lipa Noi Beach. Life just doesn’t get any better.